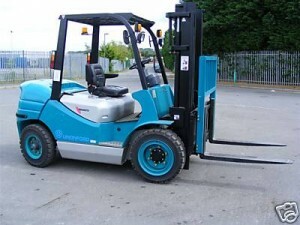 If you are looking for professional forklift training in Bolton, Pro-Lift can help. Although the government do not issue licenses for forklift truck drivers, the Provision and Use of Work Equipment Regulations 1998; regulation 9, enshrines in law the employer’s responsibility to give each of their forklift drivers adequate training. To be compliant with the government’s HSE regulations, your staff can be trained on your premises by one of our qualified instructors. To ensure your business runs at maximum efficiency, our team can also help with Company Assessments for new recruits and Root Cause Investigations to establish what went wrong in the case of an accident. We can provide courses to every level of driver from people with no experience at all, to those who have been driving a truck for a number of years and would like to keep their knowledge up to date. We also provide Attachment Training to instruct drivers on how to use the modified parts of a truck, Familiarisation Training that covers the operation of new equipment and Conversion Training if a new truck is replacing a familiar model. The HSE asserts that lift trucks are one of the most dangerous vehicles in the work place. They are involved in around 25% of all reported accidents on the shop floor and the HSE believes this is down to poor training. To lower the risk of this happening at your company, give Pro-Lift a call and find out how our forklift training in Bolton can help you.